Finding a quality digital camera with strong video recording capabilities isn’t exactly as easy as one might think, especially if you’re looking for something loaded with the latest technology at a reasonable price. 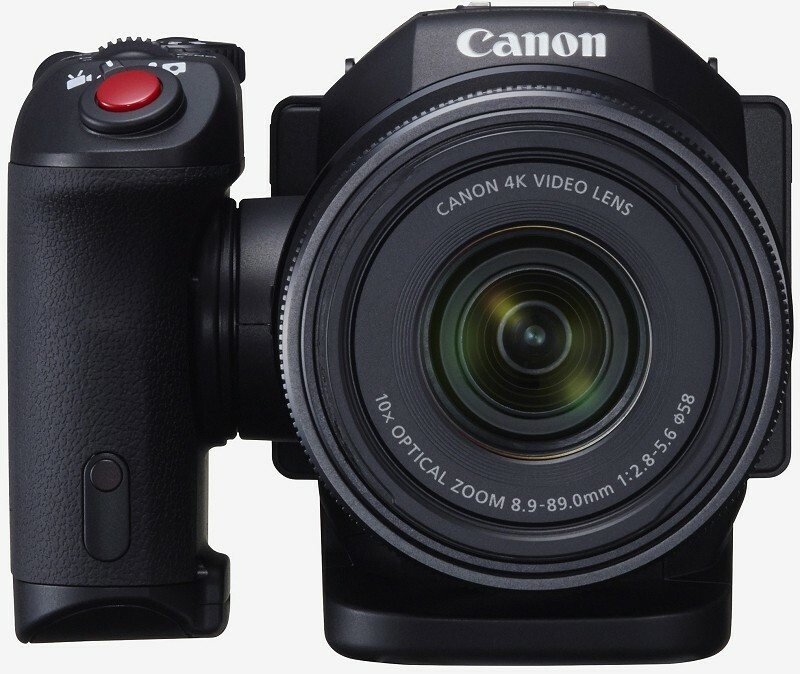 Budget-minded videographers in the market for a 4K capable camcorder that’d also like to snap the occasional photograph may want to have a look at Canon’s latest, the XC10. The first thing you’ll likely notice about the camera is its unique design capped off by the adjustable, swiveling handgrip. There’s also a 3-inch tilting touchscreen display to help with framing but if you prefer a viewfinder, Canon will also sell you an optional accessory that turns the display into an EVF. A digital camcorder first and foremost, the Canon XC10 can record 4K video (3,840 x 2,160 at 30 frames per second) and capture modest 12-megapixel stills using its 1-inch sensor (with a dynamic range of 12 stops) and mechanical shutter. It can also grab 1080p clips at 60 frames per second or 720p at 120 frames per second if high-resolution isn’t necessarily required for a particular project or job. Perhaps the one glaring knock on the XC10 is the fact that it’s a fixed-lens system meaning you won’t be able to swap out lenses. What you do get is a 10x zoom lens that translates to a range of 27.3mm – 273mm for video and 24.1mm – 241mm for images with a maximum aperture of f/2.8-5.6. The camera also lacks an XLR mic input although there are stereo mics built in and you can use the hot shoe up top to add an external mic. As you can see, this isn’t exactly a professional-grade 4K camcorder but it’s certainly no slouch, especially given its $2,500 price point. Expect to see it hit retail in June.